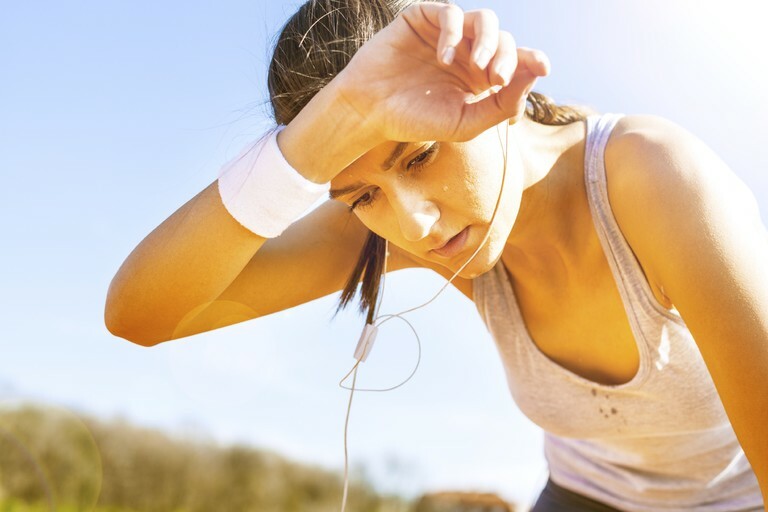 If you’re new to exercising, then you may have noticed an odd phenomenon. Instead of losing inches from your tummy and waist area…you seem to be gaining more of them! And so you’re left wondering why it happens. Especially seeing how your goal is the exact opposite – to lose as many inches as you can. So, what’s happening? You don’t have anything to worry about. Despite what you may believe, this is actually a pretty normal thing to happen and it definitely doesn't mean that your hard work has been wasted. The thing is, your body is experiencing the growth of muscles in the parts of your body that you’re targeting. This growth will be more pronounced for those women that focus more on strength training. When you workout, pressure is put on your otherwise dormant muscles. This in turn, results in wear and tear (literally), because of which your muscles need to be repaired. Aided by your strength training, your muscles not only repair but also witness a growth. With the passage of time, however, your muscles will reach a plateau (a point where growth is very difficult until and unless you have a professional looking over your workout and diet), during which time period you will begin to witness actual inch loss. There might be a myriad of reasons as to why your stomach’s getting bigger, but for the sake of convenience, we will only discuss the most common reasons behind this phenomenon. The answer to your question “Why is my stomach getting bigger with exercise?” might very well be something a little simpler than what you had been anticipating so far. Are you keeping track of the amount of water you’re drinking? Hydration is very important, especially when you’re working out because you’re losing a lot of your body’s water content simply by sweating. And how exactly do you plan on balancing that water loss, huh? The thing is, continually depriving your body of water forces it to get water from elsewhere. In this case, your vital organs (especially your liver and kidney). This in turn not only results in bloating, but gas and stomachaches as well! If you’re eating foods with high levels of Sodium in them, then you might be look at water retention by your body. That’s because sodium is the one electrolyte in your body that controls the biggest amounts of movements of water inside your body. Increased sodium levels result in increased water retention. During these periods of time, you might also not feel as thirsty, or feel ‘full’, thus not eating as much food as you often eat. So, what should you do in order to ever avoid it? Simple. Avoid foods high in sodium: frozen breaded meats and dinners, sausage, sardines, caviar, bacon, cold cuts, ham, frankfurters, salted nuts, food items with a high amount of salt in them, canned soups and vegetables, and spaghetti sauce. Another reason for the bloating that you’re feeling might be because of your workout. Or more specifically, because of how much of your workout you’re doing. Too many sit-ups, crunches, Russian Twists and even planks can not only result in bloating (because of increased blood circulation), but uncomfortable stomach pains as well. If you’re still not confident enough, talk to your trainer, who can help you stretch your muscles. Now, there’s nothing wrong in lifting heavy weights every once in a while, or even limiting them to your last set of reps. However, if all you’re doing is lifting weights that are heavy for your body frame in order to get toned abs quickly, you might be doing more harm than good. That’s because the heavier weights you lift, the thicker your muscles are gonna get. And the thicker they are, the more they pronounced the will be. So, if you’re still asking yourself “Why is my stomach getting bigger with exercise?”know that the solution is simple – restrict yourself to light and medium weights only. If at all possible, use exercises that require only your body weight to perform them, like planks or leg raises. For better results, increase your rep count. So, for example, if you were using 25lb weights with sets of 20 reps, shift to 10lb weights with sets of 20-25 reps (minimum). Always remember – instead of increasing your weight, go ahead and increase your rep count. 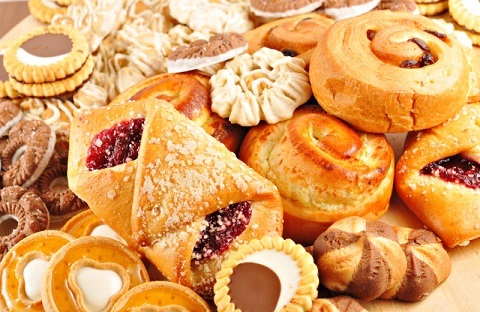 If you’re eating a restricted amount of calories but still aren’t seeing any results around your abs, then that might be because of the high number of refined carbs that are included in your diet. Remember, a lower calorie count is not as important as the typeof calories you are consuming. Avoid foods like pastries, sodas, snacks, pasta, chips, white flour, breakfast cereals, added sugars white bread, white rice and sweets. By eliminating these foods from your diet, not only are you reducing the amount of reduced carbs you’re consuming, but you’re also getting rid of any unnecessary methods of retaining fat in your body! If you’ve found that despite maintaining a healthy diet, calorie intake and a fairly strict workout regiment, you’re not losing any inches, then you might have to face facts. The reasons for this might be because of things totally out of your control, like your genetic makeup or hormonal changes in your body. If it’s your genes, well, there’s nothing much you can do about it except hire a personal trainer who can guarantee inch loss for you. 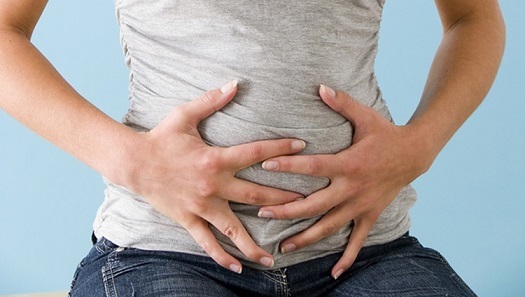 If it’s hormonal, then your bloating might be because of menopause or even PMS. There’s nothing much you can do about it, except wait for your body to get back to normal. Then measure yourself and you’ll find that you’ve lost those inches that you’d been aiming for.